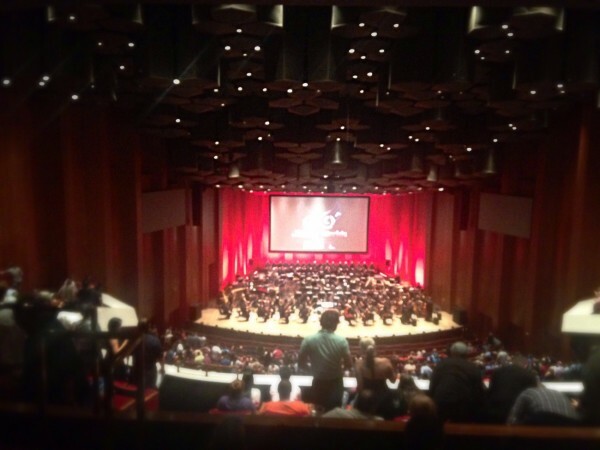 I recently attended the Saturday night Distant Worlds concert in Houston – the July 23 (Saturday) evening performance. This was my first time seeing the acclaimed Final Fantasy-themed concert tour, so I didn’t know what to expect short of what I’d heard from their albums. 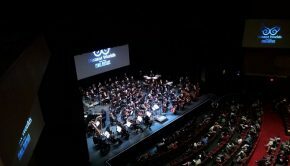 We have reviewed Distant Worlds several times on VGMO over the past year, so there isn’t much I can add other than my impressions as a newcomer to the concert, and thoughts on some of their more recent arrangements, which were as always mixed with older Distant Worlds favorites. The concert opened with a rendition of the Prelude and a quick victory theme before jumping into XIV’s “Torn from the Heavens,” which was a great first big piece, since the Prelude is incorporated into the battle theme. It was great to hear one of Soken’s tracks performed live, and “Torn from the Heavens” worked very well in concert – the live choir stood out, in part because of its straightforward and accented role in the piece. Other highlights included “Balamb Garden,” a great choice for live performances, and “JENOVA Complete,” a new addition to the tour. Arnie Roth would occasionally tell anecdotes of the different pieces on the setlist; for “Balamb Garden,” apparently when Roth and Uematsu expressed interest in using it for Distant Worlds, Square Enix could not find a copy of the score. So the transcription and arrangement was done completely from scratch. I’m not sure how much of a setback this was, as the beautiful of “Balamb Garden” is its simplicity, but in any case, it served as a wonderful interlude of calmness between the more dramatic battle tracks. During these anecdotal asides, Roth mentioned the use of the Distant Worlds arrangement of “Bombing Mission” in the Final Fantasy VII remake trailer during E3 2015. A small part of me had been hoping to hear that as one of the VII choices after his description, but it was also very refreshing to get a track I haven’t heard arranged quite as often. “JENOVA Complete” also worked very well live. The later VII track on the setlist, “Cosmo Canyon,” was not as successful, with a lengthy slow section towards the end that defeated the rhythmic spirit of the piece. One mild frustration I had with the concert was the video screen, which only played cutscenes from the later Final Fantasy games. This was especially apparent during the tracks from IX, which included “Festival of the Hunt” and “Roses of May.” Although one track is for a minigame and the other is a character theme, the screen continued to display the excessively dramatic cutscenes of IX which just didn’t seem to match the music, and there was not a single image of Beatrix. I also wasn’t too impressed by “Festival of the Hunt,” one of the more recently arranged tracks, which seemed at once rushed and too slow, as if it had not been rehearsed quite enough. I did appreciate the effort of including more IX tracks, though. “Battle on the Big Bridge” was of course a highlight. I was glad to see it as a separate piece and not part of the large battle medley towards the end, since the arrangement is one of my favorites, and I am always a little sad to see the adrenaline from the piece lost during a “Seymour Battle” transition. And speaking of tracks from X, the “Hymn of the Fayth” was an incredibly powerful piece to hear live – while I had not thought much of the album recording from Distant Worlds III, the dissonance in the choir, and excerpts from “The Sending” on piano blended together beautifully on stage. For one of the final pieces, we heard the usual Distant Worlds battle medley with some new pieces. I always love hearing orchestral arrangements of the very early (read: pre-VI) battle themes. I also thoroughly enjoyed the arrangement of the boss battle theme from VIII, which is a difficult one to arrange successfully. Here, it really worked. The battle theme from XIII made its way into the medley as well, which was a little strange since the piece had already been performed separately earlier in the same show. There are only so many times “Blinded by Light” can loop before the drama of the piece gets lost, and we reached four loops by the end of the concert. 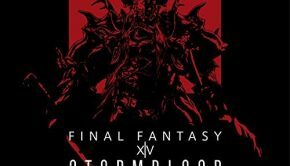 As a big fan of the XIV score, I was also disappointed that there was no piece from this game included, despite the medley’s “I-XIV” subtitle on the program. I had been looking forward to hearing another XIV battle theme – even “Nail of the Heavens” or “Answers,” both of which are already Distant Worlds staples (and battle themes) from other tours. 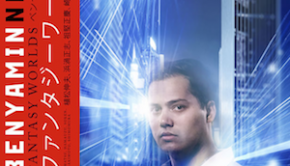 Instead, “Blinded by Light” went straight into the Prelude (which did feature cutscenes from XIV on the screen). Overall, the concert was an incredibly fun experience. 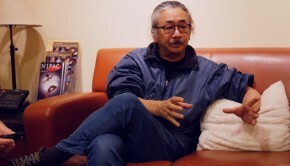 It’s hard to beat high-quality orchestral arrangements Final Fantasy scores, and for those of us who grew up with Uematsu’s music, it’s also a wonderful experience to be surrounded by people cheering for their favorite games and tracks. Just before the required “One-Winged Angel” encore, a man several rows in front of me shouted “YES!” with a fist pump the minute Roth walked back on stage to introduce it. While not every arrangement was completely successful, and tracks that have been arranged countless times are certainly easier to criticize, it’s great to see the tour moving forward and continuously coming up with new arrangements. Posted on August 4, 2016 by Emily McMillan. Last modified on August 5, 2016.